Democratic congressional candidate Alexandria Ocasio-Cortez is receiving criticism for barring journalists from two otherwise public community meetings. The candidate has been no stranger to the media spotlight since her surprise victory over Rep. Joe Crowley in the June Democratic primary, appearing on “The Late Show with Stephen Colbert” and stumping on the campaign trail with Sen. Bernie Sanders. But according to representatives of her campaign, “unwanted attention” following her PR tour was a major factor in the decision to make the community meeting off limits to the press. Several journalists have noted that the candidate’s decision might not bode well for her ability to deal with press if she gets to Capitol Hill. 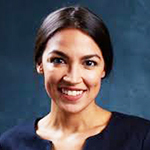 Washington Post White House reporter Seung Min Kim said that if Ocasio-Cortez wanted to protect the privacy of those at the meeting, she should have made it a private event. “Don’t make it a public event and then ban the press,” she said in a Tweet. Calling the dust-up a “nonstory,” Ocasio-Cortez said that future events would be open to the media.